Gettle understands the particular demands education organizations face related to ever-changing technology, energy management and a continued evolution of the physical and virtual campus infrastructure. 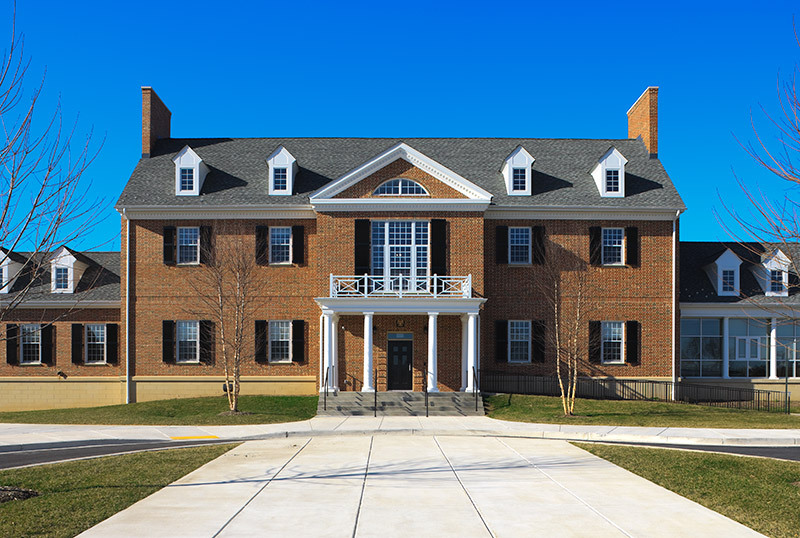 We work with higher education facilities including colleges and universities of all sizes across the greater Mid-Atlantic area, delivering sustainable solutions to power their continued development with service they can count on to keep their systems operating at peak performance. Including incoming service, new installations, service upgrades, metering, panels and transformers and feeder wiring. Optimized lighting design solutions to maximize efficiency, productivity and adhere to current code requirements including LED upgrades, daylight harvesting, occupancy controls, dimming systems and more. Exterior lighting solutions rooted in security and efficiency including exterior pole lighting, parking lot lighting, parking garage lighting, façade lighting and walkway lighting. Specialized expertise in incoming utilities for primary and secondary service, pad-mounted equipment and duct banks. Reliable solutions to keep your business running including generators, UPS systems, micro turbons and inverters. Comprehensive solutions from repair and troubleshooting to preventative maintenance services and system monitoring. Your service needs are always our priority. In addition to providing turnkey electrical contracting for education institutions, Gettle offers comprehensive technology system expertise. Our multi-division capabilities ensure optimal system integration. We invite you to check out the links below to learn more about these solutions. We look forward to learning more about your project needs. Reach out today to connect with a member of our team to discuss how our turnkey approach can add value to your project.